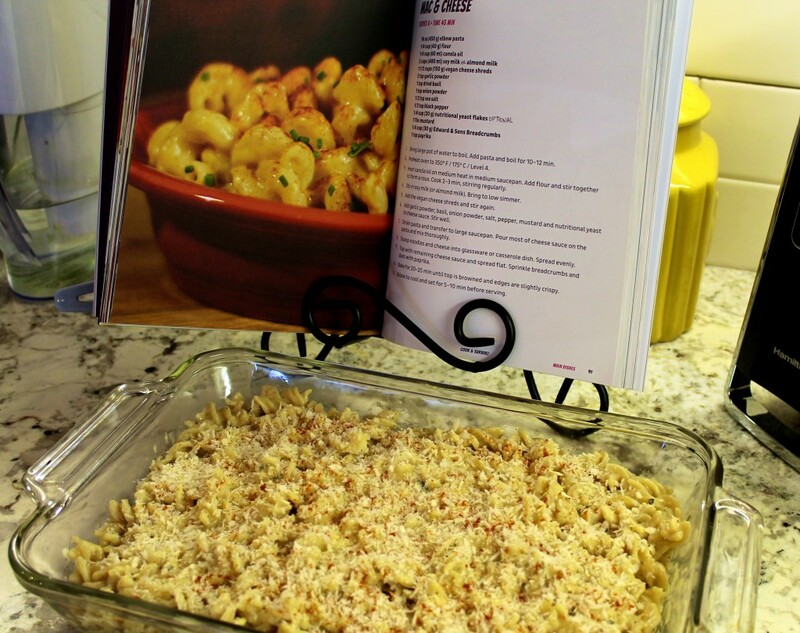 First up in this series is going to be the Mac & Cheese from The Vegan Zombie’s: Cook & Survive cookbook. If you don’t own this book yet, get on it man! I was fortunate enough to meet Chris & Jon at Expo West earlier this month and they are incredibly nice guys so go support them!! blender so I can get that super smooth cheesy consistency from a cashew cheese, but right now my cashew sauces turn out chunky and annoying. The Vegan Zombie’s recipe instead is made from a roux and vegan cheese shreds melted over the stove. 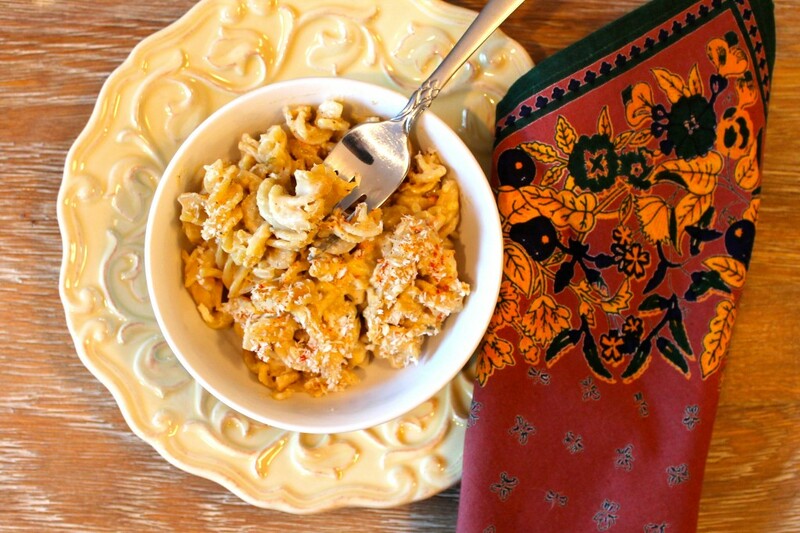 These guys have come up with the perfect combination of spices to make this dish incredibly flavorful and seriously one of the best Mac & Cheeses I have ever tried! 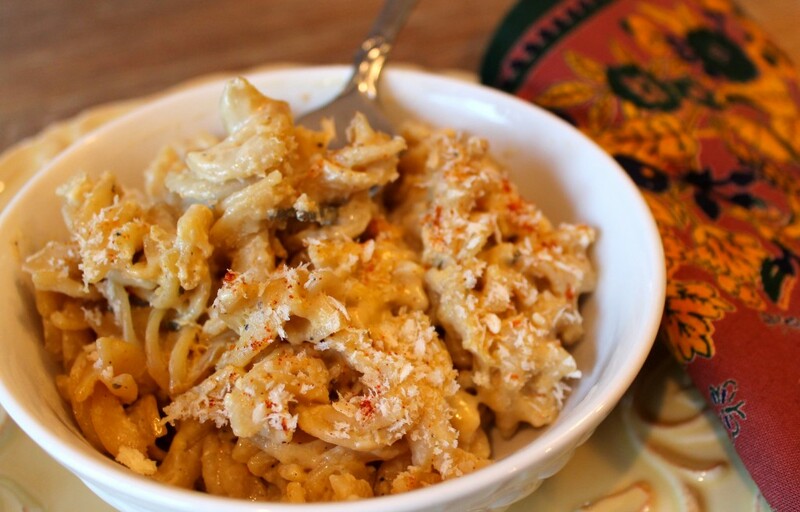 I did alter the recipe ever so slightly by using gluten-free pasta and opting for the pepper jack Daiya shreds because I do love a little bit of spice in my meals. It turned out AMAZING! My stepdad (who doesn’t like much of anything, went back for seconds AND thirds). I plan on making the sauce alone again to pour over steamed veggies or to use in a hot artichoke dip. So, so good! If you want the recipe for this super, non-blender vegan Mac & Cheese (and many other frickin awesome recipes), go get yourself a copy of The Vegan Zombie Cook & Survive today!